Corporate League Tennis completes another terrific season. On December 16th, Corporate League Tennis presented by The Colony Beach & Tennis Resort and JetBlue finished up the fall season with a double championship and end of season party for over 100 guests. Seasonal champions Goldman Sachs & Co. once again dominated and won the "A" championship over BNP Paribas. 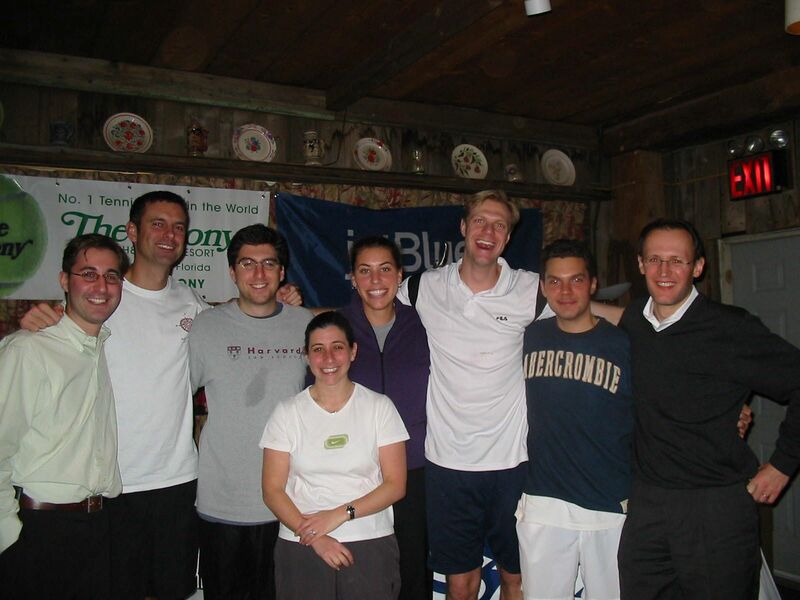 Davis Polk & Wardwell and Thomson Financial contested the "B" championship. Though a close match Davis Polk & Wardwell beat Thomson Financial to with the "B" Championship for the first time. At the awards dinner two highly anticipated grand prize drawings were held, the first a trip to The Colony Beach & Tennis Resort in Longboat Key, Florida for a 5-day, 4-night stay was won by Jonathan Moldovan of BNP Paribas. The second drawing was for Rose Chin won a pair of tickets on JetBlue Airways from New York to any location in Florida. A special thank you to all of our corporate league supporters Tennisport of Long Island City, The Colony Beach & Tennis Resort, JetBlue Airways and Head/PENN. The nest season of Corporate League Tennis will begin on March 7, 2005. To receive information on what it take to get a team entered into the league email league coordinator Lara Schneider lara@eastern.usta.com.